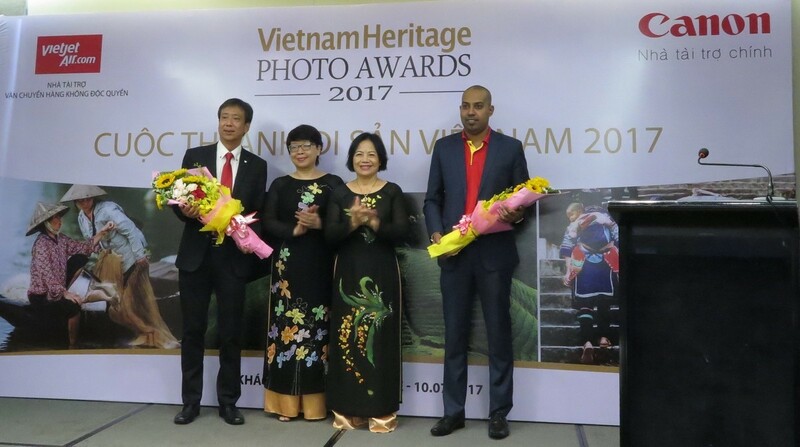 Ho Chi Minh City, 10 July 2017 – Canon Marketing Vietnam has fixed Vietnam in its viewfinder once more as it announces its partnership with Vietnam Heritage for the 2017 Photo Awards. The contest, which will be held between 10/7/2017 and 15/9/2017 features five themes all designed to help Vietnam put its best images forward to the world. 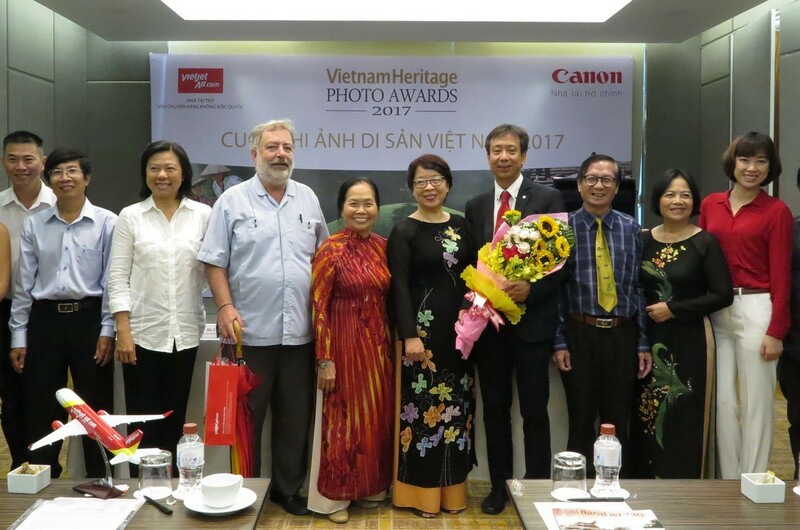 As the main sponsor of the annual Vietnam Heritage Photo Awards, Canon takes responsibility for printing all high quality and large scale images for the ultimate exhibition, and is providing prizes to a value of 200 million VND. Through Vietnam Heritage Photo Awards 2017, Canon continues calling attention from local and international community to share values of culture and natural heritage in Vietnam; searching for stories, visual works to propagate about the beauty of nature, history and culture of Vietnamese people. Vietnam Heritage Photo Awards has focused on four themes: Nature (landscape, marine resources, forest resources, geological resources, wildlife and environment); Tangible culture (architecture, sculpture, painting, handicrafts, historical-cultural relics, relics, antiques, national treasures, etc); Intangible culture (music, dance, festivals, folk games, beliefs, religions, etc); Life (moments of human life, customs, portraits, etc.). 2017 sees the contest add an additional theme to the line-up: ‘The Market’. Speaking from the inauguration, Mr. Hiroshi Yokota, CEO of Canon Marketing Vietnam said: “This year’s contest marks six years of partnership between Canon and Vietnam Heritage Magazine. This is not only a playground for nurturing Vietnam’s photographic passion, but it also brings the rich natural beauty and cultural values and heritage closer to our international friends. This year's theme aims at the friendliness and simple beauty of Vietnamese life, which has been the inspiration for generations of photographers in Vietnam. " Submissions will be accepted in two categories – single photos and photo sets. Single photo entrants may submit up to four images per topic. In the photo-set category, each photographer may submit up to four sets of photos, with each set not to exceed six works. Photographs should include detailed captions that include the name of the work, location, character, shooting time, author's name, etc. Stories related to the photographs are also welcomed. Both color and black and white images may be submitted. All entries should be in JPEG at 300 DPI resolution, with individual files not to exceed 5 MB. All images are to have been shot in the past five years. Participants: all Vietnamese citizens and foreigners. The deadline for submissions is: 24h00 September 15, 2017. There will be 16 prizes including Canon camera and printer products. The organizers expect to choose 100 best works from the competition, organize online exhibitions and in Ho Chi Minh City; Da Nang; Hanoi from the end of October, 2017 to the Lunar New Year (March 2018). The closing ceremony and result announcement will be held on the occasion of the Vietnam Cultural Heritage Day on 23 November 2017. 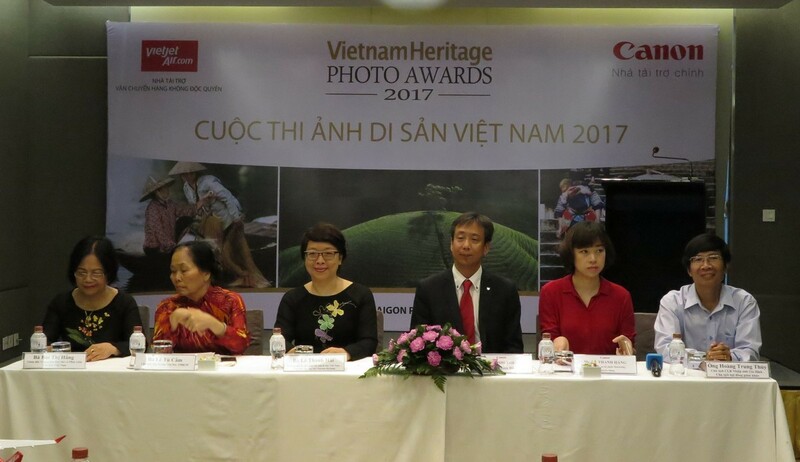 From mid-July to November 2017, Canon will accompany the organizing committee every week to organize a Quiz about Vietnam Heritage on Vietnam Heritage Fanpage.